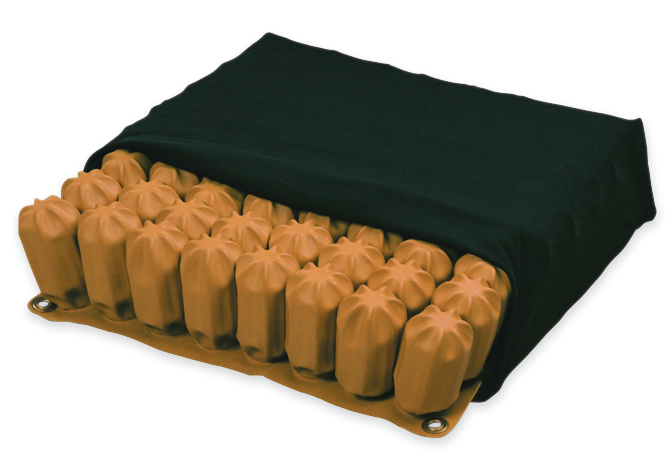 These therapeutic cushions provide ultimate care to fragile tissue. Individual cells adjust to each patient's body contours, flexing in multiple directions and decreasing body weight per unit area of the cushion. The decreased pressure allows an increased supply of blood necessary for healthy tissue maintenance and repair. Made of flame-retardant, latex-free neoprene rubber, cushion comes with a washable all-way stretch cover and hand pump for inflation. Choose from two heights for individualized needs.